We have dedicated this page to frequently asked questions. We hope that we can give homeowners the ability to resolve common problems with quick and helpful tips listed below. 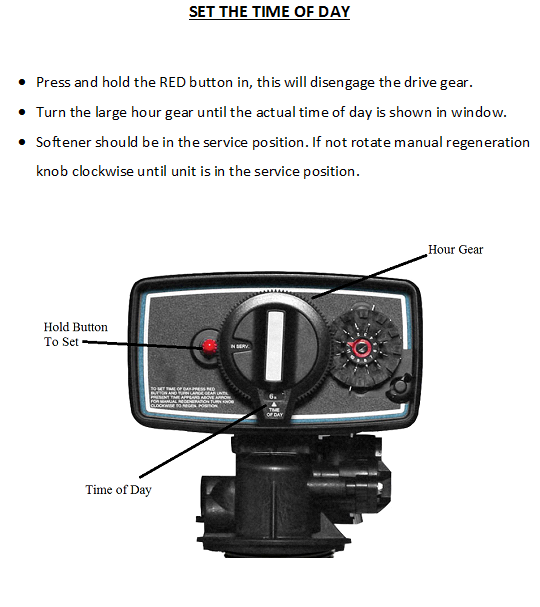 In the event of a power outage you must reset the time of day on your system. This is important to be at the present time of day to maintain correct timing for backwashing. How do I Manually Backwash My System? In instances that you would like to put your system through a manual backwash. This might be from using more water than normal. When your seeing more discoloration than normal. When the brine tank was empty and has been refilled with salt. How Do I bypass My Bubble Up? 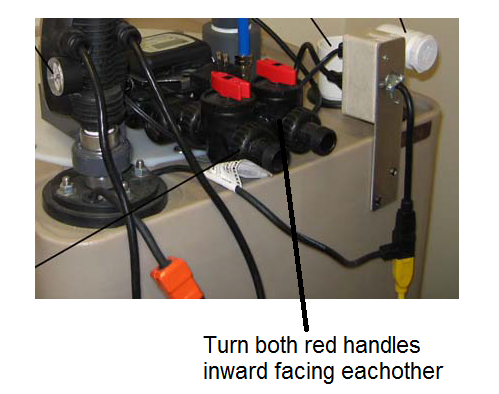 Simply turn two red arrows located on the back of the unit toward each other then unplug cords from the wall. Do you have a beeping sound and red light on your Bubble-Up meter? This simply indicates your system has used 80,000 gallons. We recommend that you contact us at this time as a system service might be needed. In the meantime you can shut off the alarm. Push all three button 1-2 seconds until meter shows "NO"
Push button to right until meter shows "YES"
Almost all of the water found in the U.S. is hard water. Hard water is water that is contaminated with dissolved minerals, like calcium, magnesium, sulfur, iron, manganese, lead and limestone, that can have a negative impact on you, your household and your wallet. Hard water produces scale. If there are stains or buildup on your sinks, bathtubs, washing machine, if you have to use large amounts of soap to clean dishes or wash your hair, or if your water tastes or smells odd, you probably have hard water. If left untreated, the minerals in hard water will cause yellow/orange stains on plumbing fixtures and be deposited as scale, eventually clogging plumbing and shortening the life of appliances like washing machines, water heaters and dishwashers. Scale deposits not only cut down on the efficiency of these appliances, they cost you money by increasing both energy and maintenance bills. Water softeners eliminate the effects of hard water. They “soften” the water by removing the dissolved minerals found there, extending the useful life of your appliances by as much as 30%. A water softener is made up of four main components: Structural tank, Fleck valve, brine tank and the media located inside the tank. Do I need a neutralizer? Acidic water means your water can be corrosive to your piping, eat away at your plumbing and causing blue and green staining. Neutralizer Filters are used where low pH is a problem. Our neutralizer filters systems are equipped with high quality Calcite/Corosex and they are installed in the main water line. Installed according with the manufacturer recommendation, the neutralizer system will reduce corrosion usually caused by acid water. Radon is a naturally occurring radioactive gas being created by the breakdown of uranium in soil and rock beneath the earth’s surface. It is odorless and colorless and present at low levels even in the outside air we breathe. As radon-gas moves toward the surface it can enter through the cracks and openings within the foundations of homes and other structures and become trapped. Radon may also be contained in well water, and released into the air by everyday usage such as showering, laundry, etc., particularly if the source is a private well. Think of a well as an easy underground pathway for the gas to follow. Should I be concerned about radon? How do I know if I have a radon problem? As indicated, radon occurs naturally in the air both inside and outside your home. It is the concentration level present in your home that will determine if action should be taken to reduce the level to the EPA guidelines. Testing is the only way to accurately measure the radon level in the water and air. Radon testing is relatively inexpensive and can be done quickly. Contact us to set up your test. What can I do about radon? Radon is a fixable problem. Even very high levels in the water and air can be reduced to acceptable levels through mitigation. Why is there an egg smell to my water? Otherwise carbon filtration will help in removing the odor of sulfur. Another reason for this smell could be the anod rod in an electric heater that needs replacement. 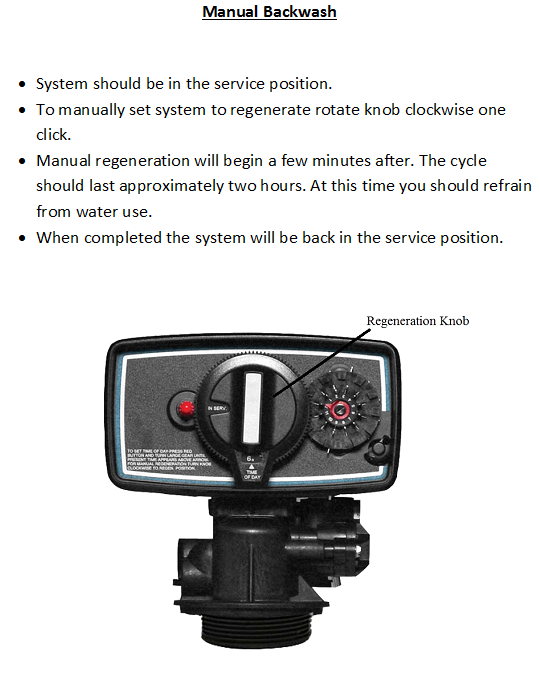 We recommend that you have your water treatment systems serviced YEARLY for preventative maintenance. Radon systems recommended every two years. If the total coliform count is high, then it is very possible that harmful germs like viruses, bacteria, and parasites might also be found in the water. Coliform E coli test- A positive test may mean that feces and harmful germs have found their way into your water system. These harmful germs can cause diarrhea, dysentery, and hepatitis. The pH level tells you how acidic or basic your water is. The pH level of the water can change how your water looks and tastes. If the pH of your water is too low or too high, it could damage your pipes, causing leaks and heavy metals like lead to leak out of the pipes into the water. A measure of the total calcium and magnesium in water. The effect of hardness is to increase the amount soap necessary to form suds in water and can increase scaling on the inside of pipes. Iron may cause orange/red/brown staining to laundry and fixtures. Egg smell and may cause bitter taste and render laxative effect in consumers. Nitrate is naturally found in many types of food. However, high levels of nitrate in drinking water can make people sick and are harmful to infants. VOCs are industrial and fuel-related chemicals that may cause bad health effects at certain levels. Other germs or harmful chemicals that you should test for will depend on where your well is located on your property, which state you live in, and whether you live in an urban or rural area. These tests could include testing for lead, arsenic, mercury, radium, atrazine, and other pesticides.